Buddhist monasteries are generally called vihara (Pali language). 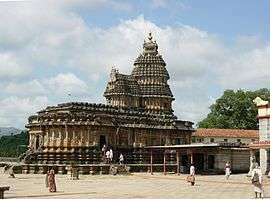 Viharas may be occupied by males or females, and in keeping with common English usage, a vihara populated by females may often be called a nunnery or a convent. However, vihara can also refer to a temple. 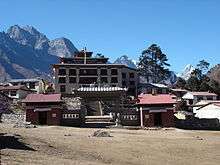 In Tibetan Buddhism, monasteries are often called gompa. In Thailand, Laos and Cambodia, a monastery is called a wat. In Burma, a monastery is called a kyaung. Buddhist monasteries, known as vihara, emerged sometime around the 4th century BC, from the practice of vassa, the retreat undertaken by Buddhist monks and nuns during the South Asian rainy season. To prevent wandering monks from disturbing new plant growth or becoming stranded in inclement weather, Buddhist monks and nuns were instructed to remain in a fixed location for the roughly three-month period typically beginning in mid-July. 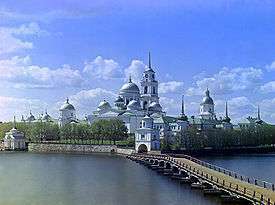 Outside of the vassa period, monks and nuns both lived a migratory existence, wandering from town to town begging for food. These early fixed vassa retreats were held in pavilions and parks that had been donated to the sangha by wealthy supporters. Over the years, the custom of staying on property held in common by the sangha as a whole during the vassa retreat evolved into a more cenobitic lifestyle, in which monks and nuns resided year round in monasteries. 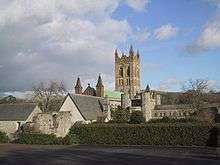 Whereas early monasteries are considered to have been held in common by the entire sangha, in later years this tradition diverged in a number of countries. Despite vinaya prohibitions on possessing wealth, many monasteries became large land owners, much like monasteries in medieval Christian Europe. In China, peasant families worked monastic-owned land in exchange for paying a portion of their yearly crop to the resident monks in the monastery, just as they would to a feudal landlord. In Sri Lanka and Tibet, the ownership of a monastery often became vested in a single monk, who would often keep the property within the family by passing it on to a nephew who ordained as a monk. In Japan, where civil authorities permitted Buddhist monks to marry, being the head of a temple or monastery sometimes became a hereditary position, passed from father to son over many generations. Forest monasteries – most commonly found in the Theravada traditions of Southeast Asia and Sri Lanka – are monasteries dedicated primarily to the study of Buddhist meditation, rather than scholarship or ceremonial duties. 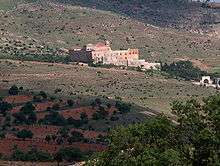 Forest monasteries often function like early Christian monasteries, with small groups of monks living an essentially hermit-like life gathered loosely around a respected elder teacher. While the wandering lifestyle practised by the Buddha and his disciples continues to be the ideal model for forest tradition monks in Thailand and elsewhere, practical concerns- including shrinking wilderness areas, lack of access to lay supporters, dangerous wildlife, and dangerous border conflicts- dictate that more and more 'meditation' monks live in monasteries, rather than wandering. Tibetan Buddhist monasteries are sometimes known as lamaseries and the monks are sometimes (mistakenly) known as lamas. H. P. Blavatsky's Theosophical Society named its initial New York City meeting place "the Lamasery." Some of the largest monasteries in the world are Buddhist. Drepung Monastery in Tibet housed around 10,000 monks prior to the Chinese invasion. Today, its relocated monastery in India houses around 8,000. 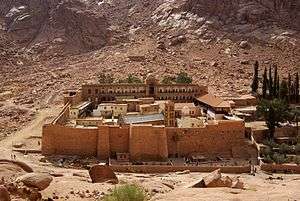 According to tradition, Christian monasticism began in Egypt with St. Anthony. Originally, all Christian monks were hermits seldom encountering other people. But because of the extreme difficulty of the solitary life, many monks failed, either returning to their previous lives, or becoming spiritually deluded. It was St. Pachomios who developed the idea of having monks live together and worship together under the same roof (Coenobitic Monasticism). 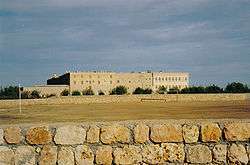 Some attribute his mode of communal living to the barracks of the Roman Army in which Pachomios served as a young man. Soon the Egyptian desert blossomed with monasteries, especially around Nitria (Wadi El Natrun), which was called the "Holy City". Estimates are that upwards of 50,000 monks lived in this area at any one time. 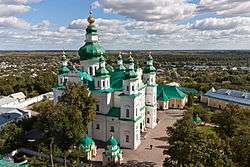 Upon his return from the Council of Sardica, Saint Athanasius established the first Christian monastery in Europe circa 344 near modern-day Chirpan in Bulgaria. 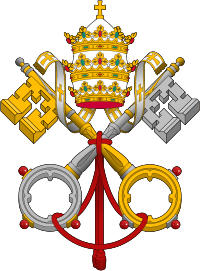 Saint Benedict of Nursia founded the monastery of Monte Cassino in Italy (529), which was the seed of Roman Catholic monasticism in general, and of the Order of Saint Benedict in particular. 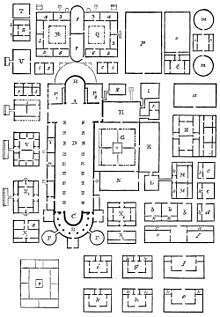 The Carthusian Order was founded by Saint Bruno at La Grande Chartreuse, from which the religious Order takes its name, in the 11th century as an eremitical community, and remains the motherhouse of the Order. Saint Jerome and Saint Paula decided to go live a hermit's life in Bethlehem and founded several monasteries in the Holy Land. This way of life inspired the foundation of the Order of Saint Jerome in Spain and Portugal. 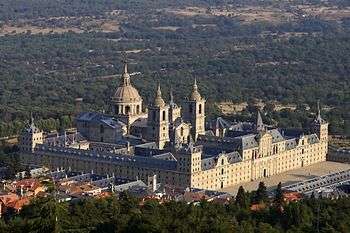 The monastery of Saint Mary of Parral, in Segovia, is the motherhouse of the Order. The number of dedicated monastics in any religion has waxed and waned due to many factors. 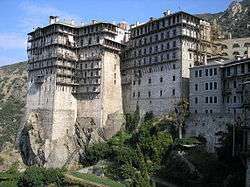 There have been Christian monasteries such as "The Cappadocian Caves" that used to shelter upwards of 5,000 monks, or St Pantelaimon's Monastery on the Mount Athos in Greece, which has held up to 3,000 monks. Today those numbers have dwindled and the entire population of the "Holy Mountain" may be 2,000. Some Orthodox monastic leaders that are critical of monasteries that are too large, arguing that they become institutions and lose the intensity of spiritual training that can better be achieved when an elder has only 2 or 3 disciples. 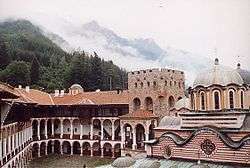 On the Mount Athos there are areas such as the Skete of St Anne, which could be considered as monastic entities but are small "Sketes" (monastic houses containing one elder and 2 or 3 disciples) who come together in one church for services. 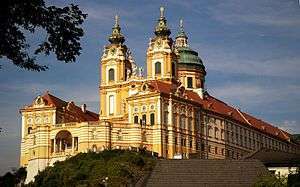 There is a growing Christian neo-monasticism, particularly among evangelical Christians. Established upon at least some of the customary monastic principles, they have attracted many who seek to live in relationship with other, or who seek to live in an intentionally focused lifestyle, such as a focus upon simplicity or pacifism. Some include rites, noviciate periods in which a newly interested person can test out living and sharing of resources, while others are more pragmatic, providing a sense of family in addition to a place to live in. 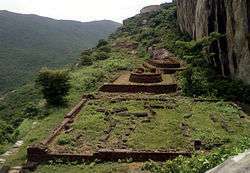 From the times of the Vedas people following monastic ways of life have been in existence in the Indian sub-continent. In what is now called Hinduism, monks have existed for a long time, and with them, their respective monasteries, called mathas. Important among them are the chatur-amnaya mathas established by Adi Shankara which formed the nodal centres of under whose guidance the ancient Order of Advaitin monks were re-organised under ten names of the Dashanami Sampradaya. Ramanuja heralded a new era in the world Hinduism by reviving the lost faith in it and gave a firm doctrinal basis to the Vishishtadvaita philosophy which had existed since time immemorial. He ensured the establishment of a number of mathas of his Sri Vaishnava creed at different important centres of pilgrimage. Nimbarka Sampradaya of Nimbarkacharya is widely popular all over North, West and East India and has several important Mathas. Ashta matha (eight monasteries) of Udupi founded by Madhvacharya (Madhwa acharya) a dwaitha philosopher. In the roots of Sufi philosophy there are influences of neoplatonist and other philosophies. Many of the practices of Orthodox Christian hermits and desert-dwellers were imitated in Sufism's growth in the center of the former-Christian lands of the Middle East. Ascetic practices within the Sufi philosophy were also associated with Buddhism. The notion of purification (cleaning one's soul from all evil things and trying to reach Nirvana and to become immortal in Nirvana) plays an important role in Buddhism. The same idea shows itself in the belief of "fanaa" (union with God) in Sufi philosophy. ↑ Crowley, John (February 2013). "Madame and the Masters: Blavatsky's cosmic soap opera". Harper's. p. 84. ↑ Macartney, Jne (March 12, 2008). "Monks under siege in monasteries as protest ends in a hail of gunfire". The Sunday Times. ↑ Dunn, Marilyn. The Emergence of Monasticism: From the Desert Fathers to the Early Middle Ages. Malden, Mass. : Blackwell Publishers, 2000. p29. ↑ "Манастирът в с. Златна Ливада – най-старият в Европа" (in Bulgarian). LiterNet. 30 April 2004. Retrieved 18 May 2012.